Blue Mountain Cable Co. offers Internet service to approximately 1,970 people in 5 cities over 1 states. 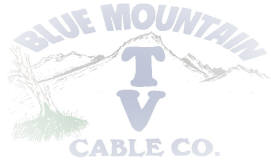 Blue Mountain Cable Co. is available in 1 state. Top 10 cities serviced by Blue Mountain Cable Co.
Bellaire Cable Internet provides Cable services. Blossom Telephone Co. provides Fiber and DSL services. Big Bend Telephone Co. provides Fiber, DSL and Fixed Wireless services.